Cooler temps will soon keep many "fair weather" boaters out of the water and we won’t have so much excitement to write about on Mondays. But for now, there is too much to fit in our little posts. A sailboat flipped over on Lake Hefner in Oklahoma City on Saturday afternoon, tragically resulting in the drowning of its operator, who was found not wearing a life jacket. Another man and two children onboard survived. Story, video courtesy of News9 KWTV. Two rented boats, carrying three families with a combined eight children and four adults, collided Sunday on Lewisville Lake in Texas. One of the boats sank, and at least one boy was seriously injured, according to the Dallas News. A spokeswoman for the Texas Parks & Wildlife Department stated that the outcome might have been much worse had everyone aboard not being wearing a life vest. All nine people aboard the sinking 48-foot fishing boat "Instinct" were rescued on Saturday. SignOnSanDiego.com reported that when their boat started to take on water 30 miles off the coast of San Diego, the passengers managed to safely find their way to nearby private boats before the Coast Guard even arrived. On Friday, the San Juan County Sheriff's Log from a paper covering San Juan Island in Washington, reported at least three boating incidents on Friday that had occurred recently. 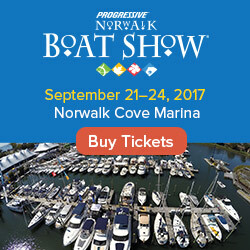 In one case a stray bullet hit a small boat; in another, a 27 ft sailboat caught on fire from an unattended charcoal stove while its operator was checking for damage from when he had recently run aground; and in a third incident, a 17 ft boat took off unexpectedly and then capsized on top of its 85 year old owner. Wow. Boating safety take-aways from all these stories? How about always wear a life jacket, and boat smart. 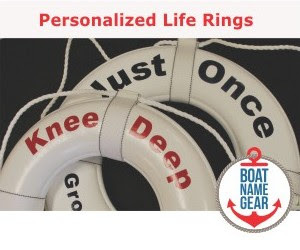 More boating safety tips can be found on our boating safety tips page.